Among the best fruits of summer’s labor are the herbs and vegetables. The harvest of basil is short, so seize the opportunity to have it garden fresh and make some pesto. 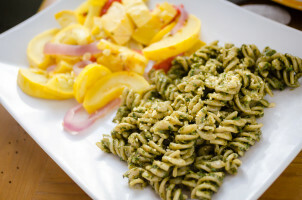 This no-compromise vegan pesto recipe is inspired by traditional pesto and offers all the same tastes and texture, but cruelty-free and without any saturated fat. That’s right – healthy pesto! 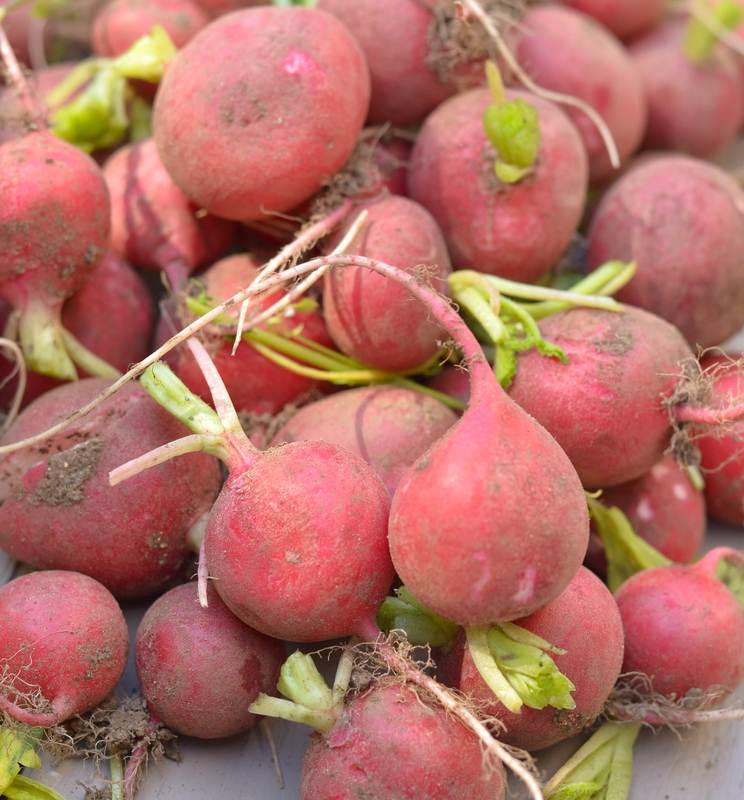 If you have just a little bit of outdoor space, or a nice sunny spot inside, growing your own is so easy and requires just a little attention. 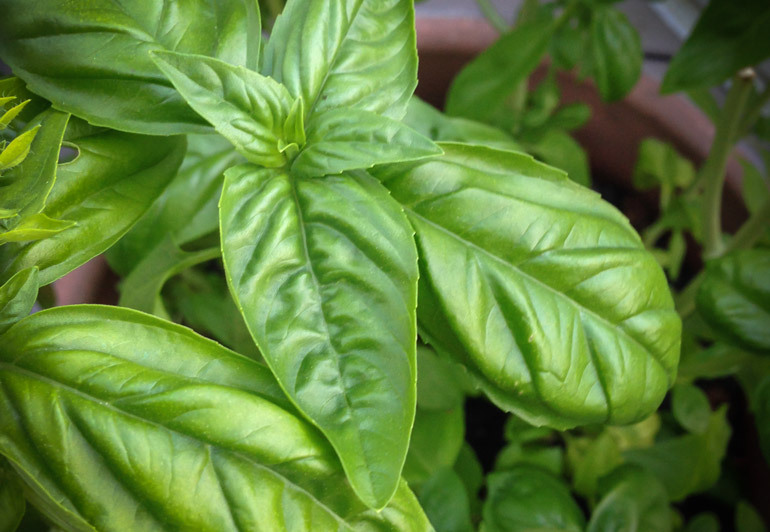 Get seedlings in the Spring and a medium sized pot and you will have the freshest available basil. 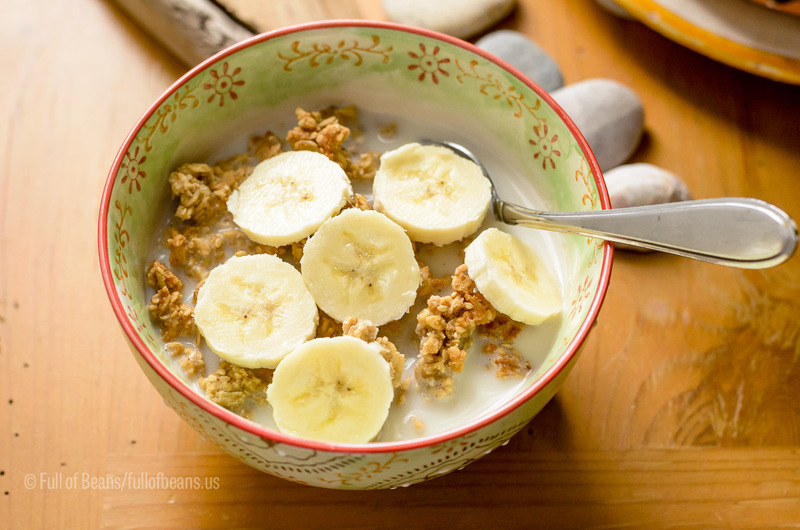 The difference over store-bought is amazing, and no trip to the market! You Can Tweak it Yourself, Too! Basil pesto is not an exact science. If you have a favorite recipe that uses parmesan cheese, just substitute nutritional yeast for a vegan alternative. I love pine nuts, but because they are often expensive, I don’t always have them on hand. I have used walnuts, almonds, cashews and sunflower seeds and have never been disappointed. 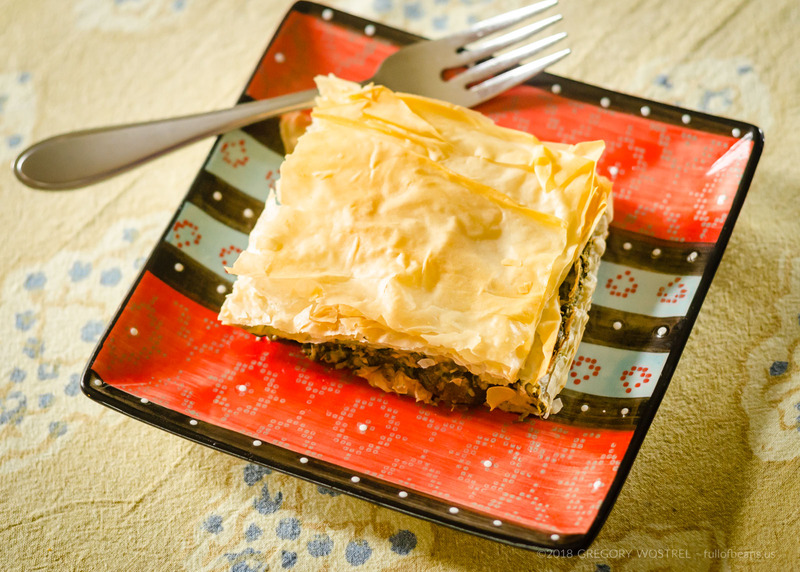 So feel free to experiment with this simple, basic, recipe and discover your own new tastes! Doesn’t that look delicious? Get the pasta on, it’s almost time to eat! But, whether you are inclined to experiment, or simply just want some vegan pesto, right now, here is our recipe that is super easy. 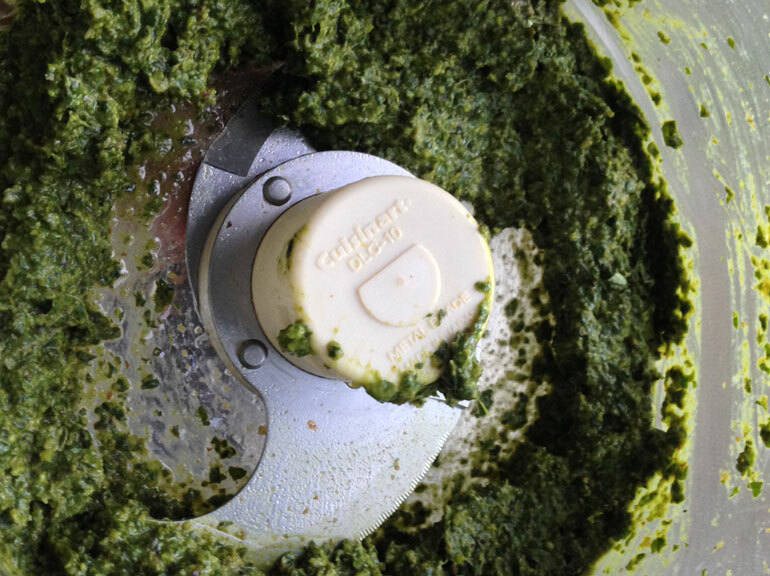 In just a few minutes you will be enjoying delicious vegan pesto on pasta, crusty bread, or pizza! We love to see what readers make so, please, post your photos on social media (we’re on Instagram, Facebook, and Twitter) and tag us so we can share, too. Happy pesto! The no-compromises delicious, rich taste of basil pesto without the dairy. Place the nuts, the whole garlic cloves, and the nutritional yeast in the food processor and let it run until the cloves are crushed. I am always looking for ways to use less time and utensils, so this works for me. Then add the oil. My processor has a hole in the top and I pour it in in a stream. You may need to scrape down the sides a few times. Run until completely blended. It should yield about 1 and 1/2 cups. When do you add the nutritional yeast? Hi Marianne! Thanks for the catch! You add the nutritional yeast at the very beginning with the pine nuts and garlic. Updating the post right now. The pesto will be fine for a day or two, refrigerated and in a tightly sealed container. Basil will start to go brown very quickly so it may discolor in that time (but still taste just fine). If you want to keep it for a while, and preserve the nice green color, you can freeze it. We just put it in a small ziplock bag and flatten it out. That way it will thaw out quickly. I use the snack sized bags and flatten them. I also peel the bag off the still frozen pesto into a bowl so I am not dealing with oily bags and scraping out all the little bits. I often use almonds (ground left over from making Parmesan) or walnuts. As you say, whatever nuts you have around work well.